Singer Jang Jae In is coming back to her fans with the release of her new mini album ‘Summer Night‘ on August 1st. Fans will be able to feel Jang Jae In’s personal touches in the new album for has actually participated in writing, producing, and even in the designing the album. With her dreams of being a singer and song writer, Jang Jae In has aimed to serve ‘Jang Jae In style’ music by taking part in every process of her album. It’s even more meaningful since the album’s cover contains lyrics and titles written in her actual handwriting. 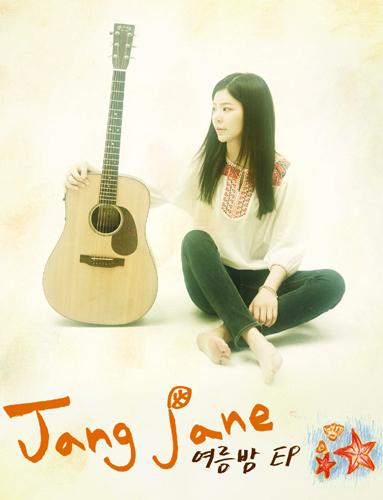 Jang Jae In had also recently revealed via twitter that she plans to hold street performances with her album release. Meanwhile, Jang Jae In will hold a street performance on August 1st at Hongdae and Han River Park in Yeouido in celebration of her new album release. 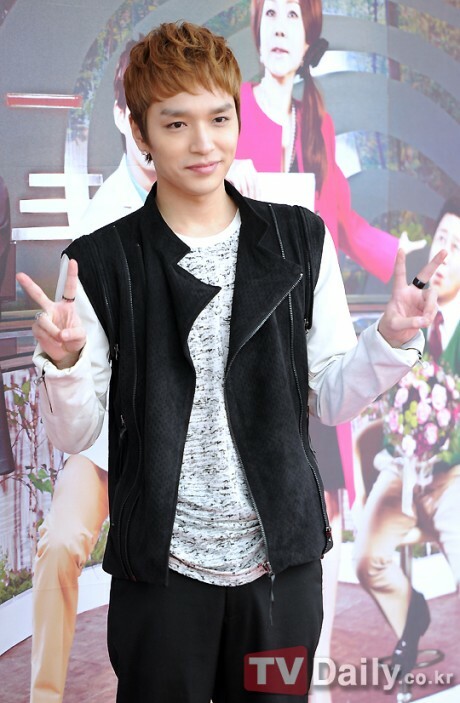 Hip hop group Supreme Team‘s Simon D showed off his Korean pride, as he spent the entire night cheering on the athletes in several categories of the 2012 London Olympics on July 29. He continued, “Ah Korea vs. Switzerland soccer match, woman’s archery finals, I can’t decide. I’ll have to switch between channels. I’m done sleeping for the night. The Olympics can be frustrating sometimes, but why is this so much fun?” His tweets broadcasted live results from the game, showing how enthusiastically he was cheering on the Korean athletes. After the soccer game, he went on, “We won the soccer match, so now let’s win the table tennis game. Athlete Kim Kyung Ah, fighting!“. The netizens who watched Simon D’s passionate live broadcast of his reaction to the games responded, “Our country is doing great! Gold medal in archery, we won soccer, Park Tae Hwan entered the finals, and we even won table tennis“, “Simon D, as expected, is a passionate man“, and “Oppa, you’re so into the Olympics“. Korea’s latest sci-fi thriller ‘Deranged‘ (Korean title: ‘Yeongasi’) has been holding strong in the Korean box office despite the release of billion-dollar blockbuster ‘The Dark Knight Rises‘. ‘Deranged’ headed into select North American theaters last Friday. A mutated version of the horsehair worm (yeongasi) has spread across South Korea. Horsehair worms are parasites that live inside insects and eventually cause the host insects to jump into water and drown. The mutated horsehair worm infection has proven to have a 100% fatality rate, bringing about a national state of emergency. People across the nation are showing the three main symptoms of infection. First, sudden increase in appetite. Second, no change in weight or appearance although food consumption has increased significantly. Lastly, extreme thirst for a few days prior to death. ‘Deranged’ focuses in on one particular family and how they are involved and affected by this epidemic. Actor Kim Myung Min (‘Closer to Heaven‘, ‘Beethoven Virus‘) stars as Jae Hyuk, a former professor who lost all of his fortune in failed stock investments. Jae Hyuk is now a pharmaceutical company salesman who spends most of his time sucking up to rich and arrogant clients. After realizing that his wife and children have been infected, Jae Hyuk lays everything on the line to save his family while they are put into quarantine. Actress Moon Jung Hee (‘Only You‘, ‘A Thousand Days Promise‘) plays the role of Jae Hyuk’s wife, Kyung Soon. The infection causes Kyung Soon to start losing her sanity, but she remains hopeful as she stays strong for her children. Shinhwa‘s Kim Dongwan (‘The Peak‘, ‘The Person I Love‘) stars as Jae Hyuk’s younger brother, detective Jae Pil. Jae Pil does all that he can to uncover the dirty details behind the cause of the epidemic. Former Miss Korea Lee Honey (‘Hit‘, ‘Pasta‘) plays Yeon Joo, Jae Pil’s fiancee and Jae Hyuk’s school junior. Yeon Joo is a researcher at the National Institute of Health and works at the heart of the emergency task force in which all major decisions are being made. Many times films touch upon topics or scenarios that are too far-fetched to seem real, but ‘Deranged’ hits home with the idea of a mutated horsehair worm. Horsehair worms and their ability to brainwash the mind of their host insects to jump into water and drown is pretty freaky and surreal as it is. Director Park Jung Woo did an excellent job adapting the frightening infection from insect to human hosts. The cast was excellent as well. Actor Kim Myung Min didn’t fail to meet expectations as the leading man of the film. He lead viewers through Jae Hyuk’s frustration and desperation as he tries to save his wife and children from their looming death. Dongwan was also a great addition in his supporting role as Jae Hyuk’s brother and main detective on this case. In particular, actress Moon Jung Hee took me by surprise. Honestly, I didn’t really know who she was before watching this film. Her portrayal of a mother who is conflicted by the parasite’s urges to drown herself and her desire to take care of her family gave a first-hand look into the mind of an infected patient. On the other hand, Lee Honey did not give much of a convincing performance. Maybe it’s because my image of Lee Honey as Miss Korea is too strong, but I have yet to be strongly convinced by any of the roles Lee Honey has taken so far. I feel like her acting lacks genuineness and her characters give off the impression that it is an actress playing the role of the character. Overall, this movie was a well-thought-out thriller movie that leaves you torn by the idea that the horrible happenings in the film could actually play out in real life. I’d recommend this film to anyone who is looking for a good thriller movie to bring some chills down your spine to cool you off from the hot summer heat. ‘Deranged’ opened with English subtitles in theaters across North America last Friday. The list of cities and theaters are available in our previous post regarding the movie’s release. Note: Los Angeles’ CGV Cinemas‘ release date was postponed to this Friday, August 3rd. Additional information including the movie’s original webtoon series is available on the Deranged 2012 website. Note: This article does not reflect the opinions of allkpop, only of the author. Nikon is back with a new episode of their “photo movie” feauring 2NE1! The “photo movie” titled ‘I Am the Best at Taking Pictures with 2NE1 – 2NE1 in Jeju‘ is filmed in a format resembling a variety program, revealing the goofy natures of the girls off stage. So without further ado, check out the eighth part of the “photo movie” below! After being named as the endorsement models for T.G.I. 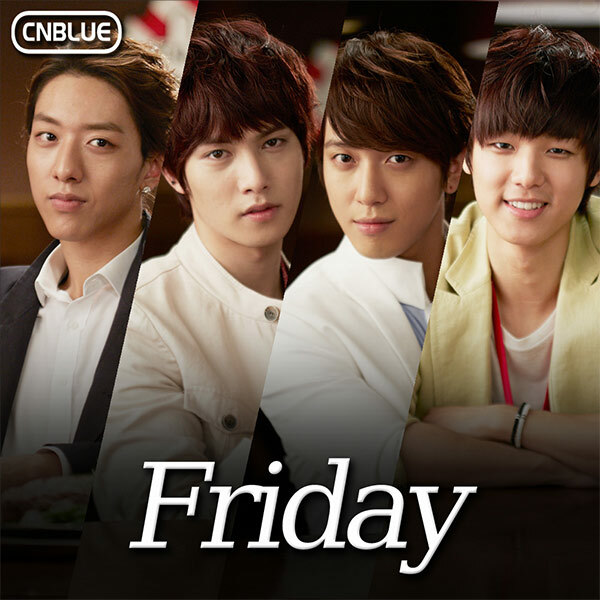 Friday’s and starring in their commercials, CNBLUE has now released the music video for the CM song “Friday“. “Friday” is a modern-pop track that Jung Yong Hwa has personally written and composed, and it consists of trendy synth, exciting guitar rhythms and a refreshing melody. The track is perfect to listen to during the week, when feeling exhausted and bored of the same routine. The song will make listeners further look forward to “Friday”, when everyone can be carefree and be in an upbeat mood. Check out the video below containing footage from the filming of the CF! T-ara to temporarily halt scheduling future events? It seems we will not be seeing much of T-ara until their next comeback. It’s been reported that T-ara’s performance at the SBS ‘K-POP Yeosu Expo Super Concert’ on August 1st is the last official event scheduled on their books for the time being. Currently, it has been reported that T-ara has been canceling their planned schedules and avoiding appearances at formal events. As reported earlier, there were plans for member Eunjung to attend the VIP screening of ‘I Am the King‘, but she ended up not showing up for the event. It looks like it will be a while before we get to see T-ara as they wait for this storm to pass while preparing for their next comeback. Comments Off on T-ara to temporarily halt scheduling future events? TEEN TOP has released the second video teaser for “Be Ma Girl” from their upcoming special summer album! They’re making a comeback in less than a month after promotions for “To You” have ended. “Be Ma Girl” (titled “Will You Go Out With Me?” in Korean) will be released on August 3rd KST. Until then, check out TEEN TOP’s previously released teaser photos here, first video teaser here, and the newly released “Be Ma Girl” video teaser below. Which girl group idols speak in dialects the most? A recent online community board post titled, “Girl group speaking in dialect” has been receiving attention. The post ranked current girl group idols based on how much they spoke in a nonstandard, regional accent. The top level included After School‘s Lizzy, A Pink‘s Eunji, and Dal Shabet‘s Subin. Girls’ Generation‘s Taeyeon and T-ara‘s Hyomin were placed in the lower level because they are both from provinces that use a nonstandard accent, but they rarely speak in dialect. Comments Off on Which girl group idols speak in dialects the most? On July 29th, rookie idol group BIG STAR held their first fan signing ever at the ‘Music and Plus’ record store in the Hyundai Mall. Currently on the rise with their “Hot Boy” debut, fans had been requesting for an opportunity to get close and personal with the boys for a while now. Fortunately, the boys were able to set aside their busy debut promotions and comply with the requests. In contrast to their charismatic images on stage, the boys greeted their fans with bright, cheery smiles and made sure everyone had a memorable time. 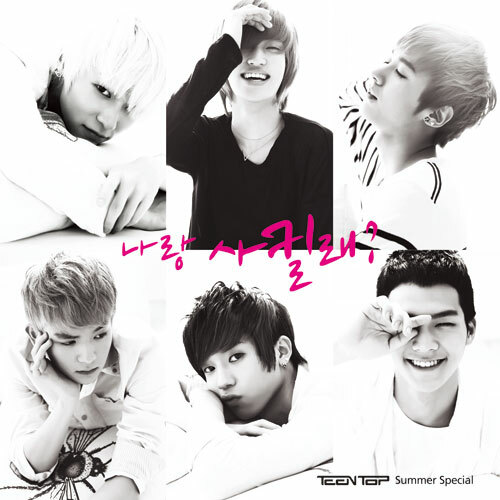 The fan signing and mini events will continue on to Busan on August 1st and Uijungbu on the 5th KST.